Kathy C. Maupin, M.D., has practiced Obstetrics & Gynecology for more than 30 years. 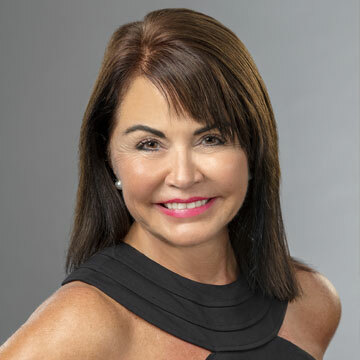 In 2002, she created BioBalance Health® to help women and men deal with symptoms of aging and menopause through personal care and bioidentical testosterone and estradiol pellets. She was the first doctor to do so in her area, and now has produced over 430 weekly educational Health Casts on YouTube and iTunes to educate patients on age management medicine. Dr. Maupin received bioidentical hormone replacement therapy in a last-ditch attempt to save her health, career, family life, and happiness following a hysterectomy at age 47, and credits hormone pellet therapy with saving her life. The realization that many of her OB/GYN patients needed the same treatment in order to get back to their pre-menopausal lives is what inspired Dr. Maupin to create BioBalance Health®. Determined to help as many women as possible, Dr. Maupin and co-author Brett Newcomb launched their book The Secret Female Hormone: How Testosterone Replacement Can Change Your Life, in March 2014. Their new book for men about Testosterone pellets, Got Testosterone?, is now available. Dr. Maupin has also been active in writing legislation that protects women in Missouri from unreasonable restrictions of insurance companies, mandated that insurance companies in Missouri must pay for breast reconstruction after breast cancer, and requires that insurance companies pay doctors within 45 days or have to pay the doctor interest.